. WKD : kaji　火事 fire .
. Atago Jinja 愛宕神社 Kyoto . 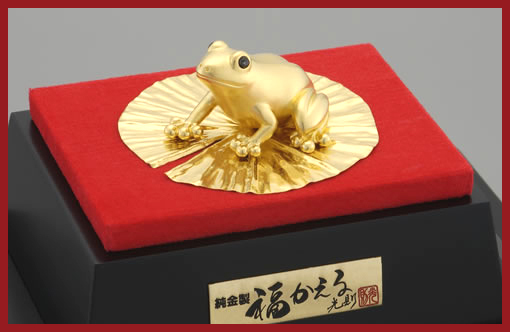 venerated as 火難除けの神 Deity to prevent fire damage.
. hi no yoojin Daruma 火の用心　だるま　. 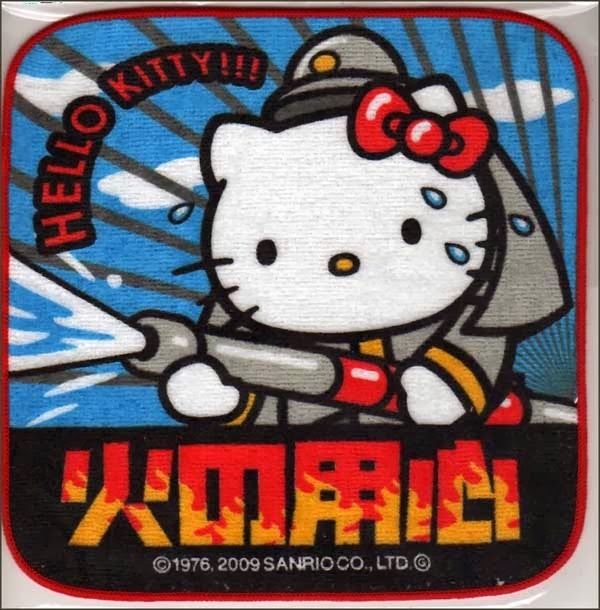 Hibuse Daruma ... 火防達磨 Fire and war preventing Daruma.
. Kitty Chan キティちゃん . CLICK for more images .
. Reference - "hi no yojin" . In former times, when housewives, craftsmen and other people used open fire for many activities in daily life, they often got burns on their skin, sometimes quite severe wounds. 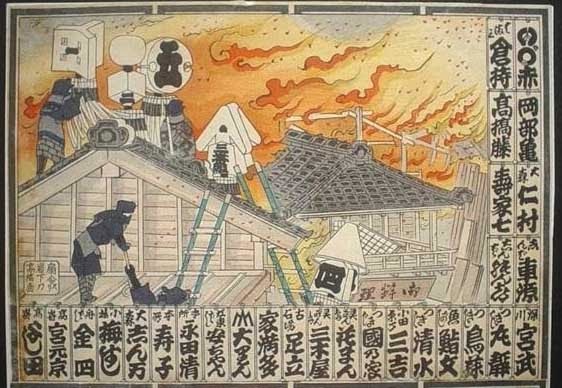 To seek healing people had to go to a special healer specializing in "hi modoshi no jutsu" 火戻しの術 the magic ritual of "giving the fire back"
The healer chanted special prayers and spells and poured water over the affected body part. Soon the patient would not feel the heat of the wound any more. Often the wound healed fast and did not leave a scar. There was no fixed payment for a healing session, since that would take away the effectiveness of the spell. But some small amount of money was passed on "from the heart" of the healed one. This art of healing was passed on is some families. The spells were not spoken out loudly and nobody could hear them (to use them on his own). They were only given to the oldest son of a healer. Very seldom they were overheard by other children and passed on in the family. Candles and incense sticks were placed on a table before the family Shinto altar, also offerings of purifying salt and rice. Bowing deeply tree times the healer then chants the incantations without making a sound. 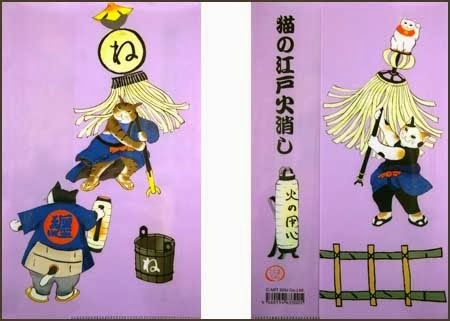 He then uses a bamboo grass leaf to sprinkle purified well water over the would while he chants. Other souces quote a more simple way of healing (possibly with a stronger placebo effect). 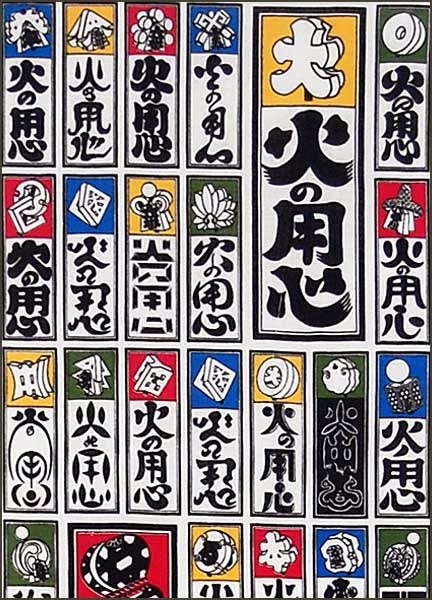 The healer would write the character の over the affected body part, chant some incantation and that was it. 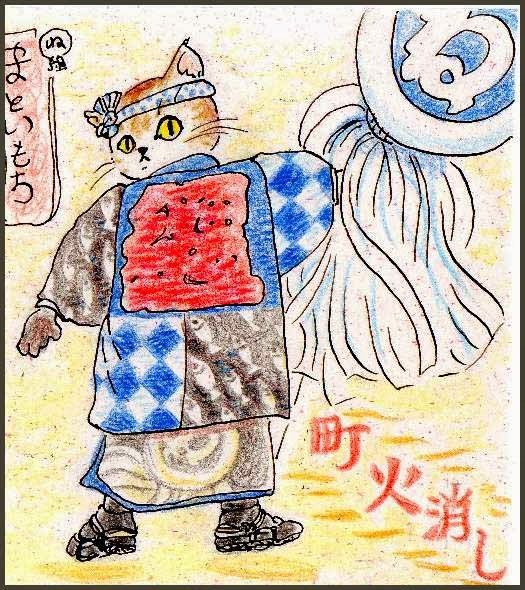 The healers also knew other spells, for example to protect farmers and others walking in the dark nights of the Edo period, often without a lantern to save money for a candle. 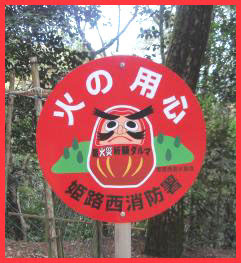 On the darkest spots of the road there were often evil spirits, malevolent Tanuki, Kitsune or other Yokai to scare and harm the people. 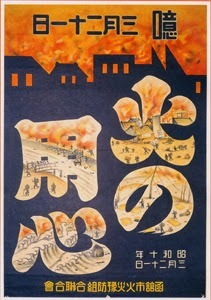 himodoshi 火もどし to give the fire back.
. placebo effect プラシーボ効果 and Yakushi Nyorai . 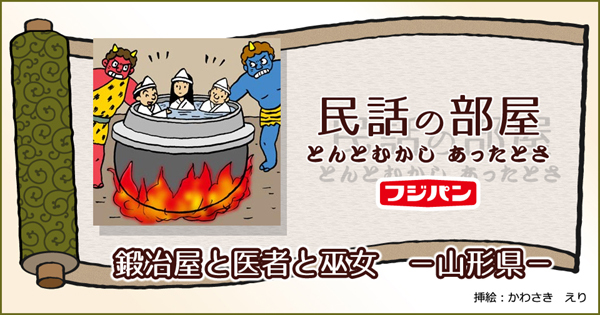 - to cut a long story short, the three came to hell together and were put into a hot chauldron to suffer for their sins. 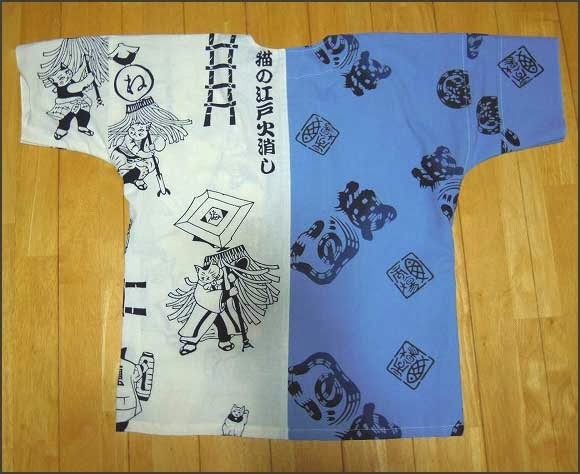 But the Shrine maiden performed some "himodoshi" and they did not suffer in the boiling water.